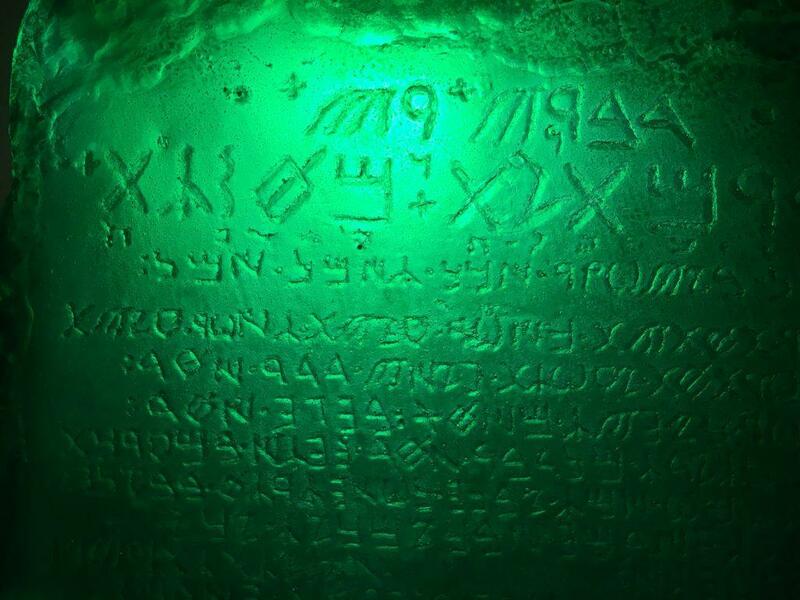 Shrouded in mystery, the “Emerald Tablet” was a text which assumed an important place in the Hermetic mystery tradition. before you is a text purporting to reveal the secret of the primordial substance and its transmutations. In esoteric circles it said to explain the secrets of the creation of beings and the knowledge of the causes for all things. In his book, Apollonius of Tyana, a philosopher of the first century illustrates how he discovered the tomb of Hermes and claims to have found within a sepulcher, an old man seated on a throne holding the emerald colored tablet. The Adepts believe this tablet to be the work of Hermes Trismegistus, a combination of the Greek god “Hermes” and the Egyptian god “Thoth”. 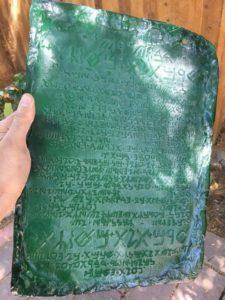 This replica is an accepted version of what the original Emerald Tablet looked like (as accepted by the International Alchemy Guild). When holding the awe-inspiring translucent bas-relief of the tablet in your hands, you will find that it is written from right-to-left in Phoenician dialect, which is how stone cutters preserved the teachings around 2300 BCE. Alchemist believe that encrypted within this tablet's mysterious wording is a formula so powerful that it reveals a profound spiritual technology showing us how to achieve personal transformation and even accelerate the evolution of our humanity. Now is your chance to own it! Order your copy of the Emerald Tablet today! 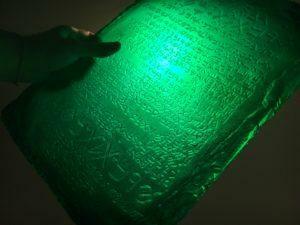 The magnificent piece is made of polyester resin, colored green, and aged with sand. This item ships economy with tracking number. 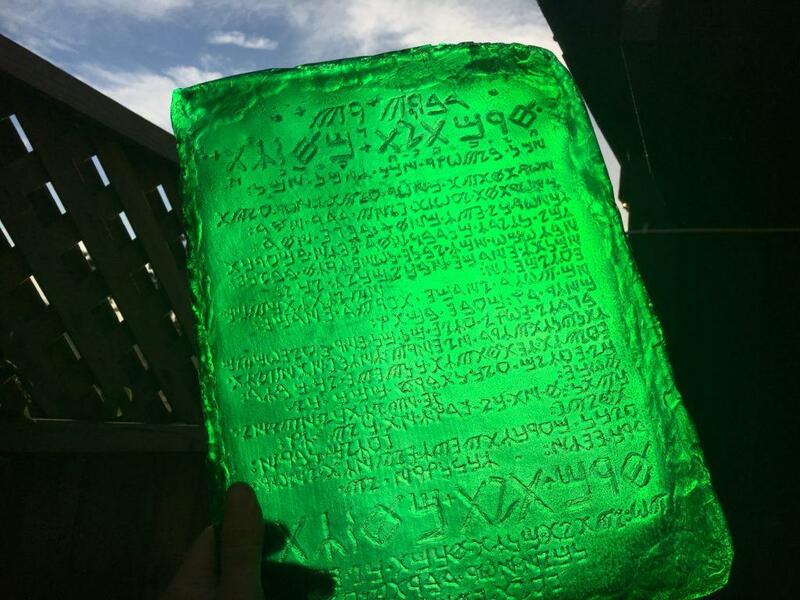 Order Your Emerald Tablet Replica Today! When ordering please include your phone number for shipping updates. Thank you.